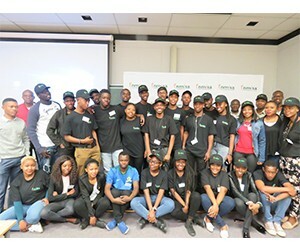 On September 10-14, 2018, the National Metrology Institute of South Africa (NMISA) held its inaugural Metrology Summer School at NMISA in Pretoria. The initiative was introduced with efforts to enable industry stakeholders to gain insights about metrology within the South African context and to also encourage future experts to explore this field. Major outcomes included better understanding of the various fields such as Chemistry, Electricity and Magnetism, Ionising Radiation, Physical Metrology, Research and Technical Infrastructure Development. More than 40 appropriate stakeholders from academia, government and private sector were welcomed at the summer school and had an opportunity to learn about various fields of metrology. The programme incorporated presentations and discussions with NMISA metrology experts on various topics about the science of measurements. Furthermore, it afforded all participants a platform to network amongst themselves, engage with our experts and receive extensive knowledge and the practicality of metrology in various laboratories at NMISA. In his opening statement, The CEO of NMISA, Mr Ndwakhulu Mukhufhi highlighted that although people may not be aware of metrology, the reality is that it is in their daily lives and it is our responsibility to educate people thereof. In his presentation, Dr Wynand Louw, Director for Research and Technical Infrastructure Development at NMISA concluded by emphasising the significance of measurement traceability and measurement equivalence. NMISA is part of the Department of Trade and Industry’s (the dti) family of Technical Infrastructure (TI) Institutes. The TI is responsible for the measurement standards and sciences, procedures and the regulations as well as accreditation that gives confidence in goods and products and allows for successful prosecution in cases of non-compliance.